A little blog about how we can improve our civilization. With a basis on energy and environmental challenges, and naturally also the effect it has on our cultural and political choices. One of the major problems facing humanity is a general acceptance that CO2 is indeed a greenhouse gas that is the cause of global warming. The media and the web is just packed with doubt everywhere, and I often feel there is too much feelings on the subject - with little real focus on the facts. I will try to present this as clearly as I can. Drop your feelings, I don't hate you and neither does "environmentalists". 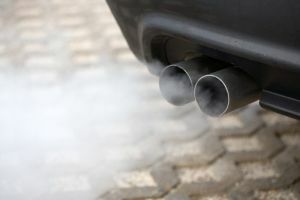 Don't take it personal when someone tells you that the car you drive is a major contributor to CO2 emissions leading to global warming. I am quite sure you chose the car you want for perfectly valid reasons, its big enough for your family, it might even have 4 wheel drive to get you to your cabin in the mountains, the color was just right or even the sound of the engine "turned you on". The car is so embedded in our human psyche and we quite literally treat them like gifts from the gods with all the magazines about them and general public interest. The car is an immensely practical technological achievement which has given human beings a new form of transportation freedom. What you probably havent noticed is that it has also formed our society in a way where we expect people to travel large distances to achieve their daily chores. In some societies you simply cant get by without a car as the place you get your food is 3 miles in one direction and the place you work to get money for your food is 3 miles in another direction. While we previously perhaps didnt have to move much from our farms or fishing village, we have now created an "efficient" way of travelling so that we have immediate access on a daily basis to buying food or get to work somewhere else than where we live. An irony in this is that many people move away from towns into more peaceful areas to get away from the "busy urban life", accepting that they still need to commute for many miles every day to secure their income for food and paying their debt. Personal transportation has become an achilles heel in society for any serious change in the way we use energy for transporation. The fact is that its become like a teddy bear that someone is trying to pry away from the hands of a child. But who is trying to pry it away? We like to call them "environmentalists" - the ists at the end there has turned it into a negative word - just like "islamists" - they are considered a pest and bothersome part of society. But if you double check that word it starts with "environment" - which is basically whats surrounding us, and by that we mean the living planet and not the concrete and cars that we have formed its resources into. Yes the planet has been plentiful with resources, and yes we have formed it into a lot of stuff with our technology. But we still have to consider the fact that the planet is not an infinite source - its very much a finite one as we are clearly experiencing with regard to oil (and soon will with many other resources). No matter how hard it is to think around this, the planet is a "small" sphere in our solar system that we have to care for. Its creation is by chance that is impossible to imagine (hence do so many believe it was created by a god) - and the whole eco-system has also been created through the evolution of species and atmospheric composition. The amount of oxygene, carbon dioxide, nitrogen in our atmosphere has evolved to be "just right" for our planet. The same with the seas and the composition of it (salt, oxygen, carbon dioxide, and a whole lot of others). 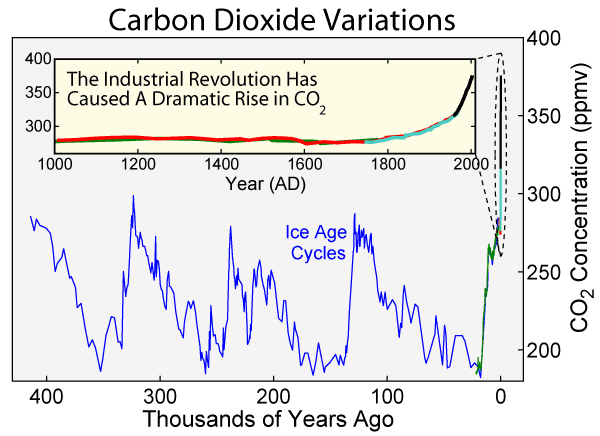 Never before since the creation of the planet has we seen so high CO2 levels. Even if we knew nothing about the properties of CO2, would it be wise to fill the air with over 40% of some gas without analyzing the consequences? I wonder why people are still dismissing this fact as "uninteresting"? The reason naturally lies with the fact that we cant see CO2 - we cant touch it or really feel it unless we are in a room saturated with it (in which case you will die rather quickly). Neither do the average person understand the subtle properties of CO2 when trapped in a "container" - the molecules have a way of storing and radiating heat - in other words it acts like a greenhouse gas. 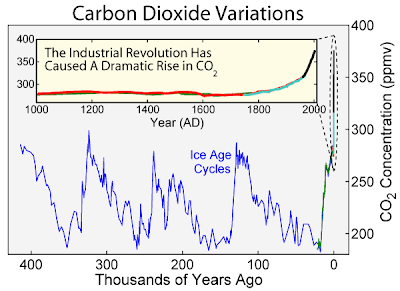 Well, our atmosphere is "trapped" by gravity and in this mix we now have 40% more CO2 than we had before pre industrial times. The global warming trend that we have now measured since we started real global measurements (an average based on millions of measurements) is showing clearly that the planet is warming. 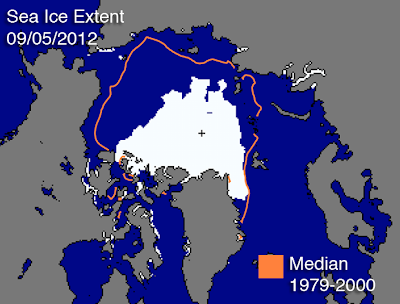 We know that one effect of a warmer earth is that ice starts melting, and this summer we had an all time low ice sheet area on the north pole - some say it might even be ice free in the summer time in a couple of years. Glaciers around the world are also melting. With higher temperature we also experience changes in the climate which is all about the shift of air and water due to the physical properties of heat and cold. Generally speaking the warmer the planet becomes, the more extreme weather we will experience. Looking at the facts again we can clearly see an increased number of weather related incidents like storms, hurricanes, droughts and serious rainfall with floods. Weather patterns which normally happened every 50 years start happening every decade, and we get new cycles as the patterns change due to the new rules on the table from global warming. We like to see world records being broken in the olympics, but nothing beats the amount of weather related records every year these days. My own town is set to a new record in amount of rainy days this year, and it already rains a lot here as it is. Its beginning to feel like the Blade Runner movie. People just got to get their head out of the sand and start thinking about the future we leave our children. There really is no doubt that global warming is caused by emissions of CO2 in the atmosphere from the burning of fossil fuels. It took the planet millions of years to trap carbon in the form of oil, coal and gas - and we are releasing this into the atmosphere now in the form of CO2 at an ever alarming rate. Just this past year, due to China's "growth" and industrial boom, the amount of coal they burn has doubled over the past 10 years. Since CO2 has a delayed effect on climate, we have no idea what these past 10 years of coal glut will cause in the near future, although by now we know that the effects of yet more CO2 in the atmosphere will rise the temperature further. And I havent even mentioned self amplifying cycles when methane is released due to the thawing of the tundra in the north, and neither the acidifying of the oceans and the destruction of huge eco-systems in the seas because of this. Do you still love your car so much? Start caring a bit for the planet and our future for a change. Choose a better life through less travelling. The only way we can cut down our CO2 emissions is by using less fossil fuels and believe it or not, its us, the consumers who form the basis of our societies dependence of the stuff and through that stimulates more CO2 emission. If you live in a country with green energy (like Norway who has a lot of hydro electricity), switch to an electric car if you must drive. Move closer to where you work or places that allow you to commute using public transport. Buy less stuff. Reduce the amount of flight trips you do as they are a major polluting cause (one person travelling one longish roundtrip will have the same CO2 emissions as their petrol car has in one year). Use less energy in general, turn off lights when you are not in the room, insulate, switch to water based central heating or install a heat exchanger - or simply wear a wolly sweater and socks, they will keep you warm and comfortable. Norwegian born in a world of opportunities, but educated enough to see that change is needed.